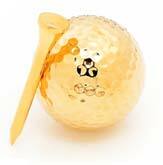 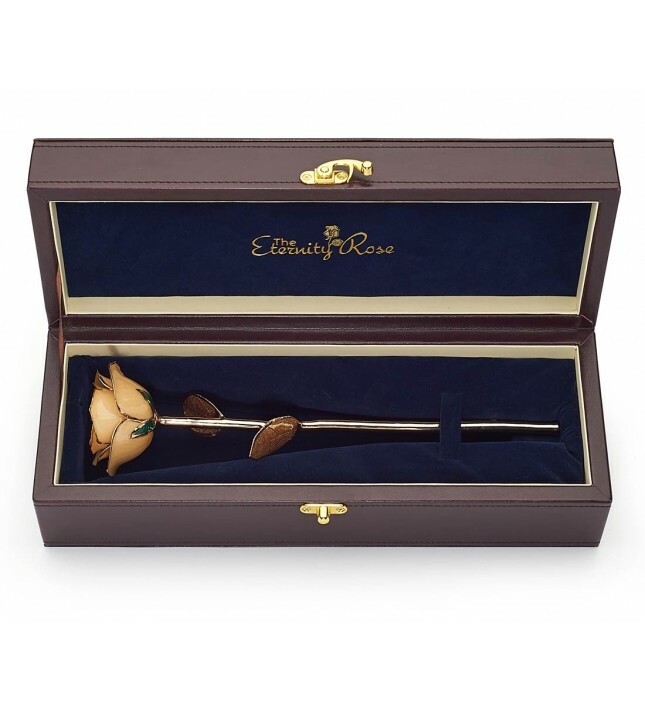 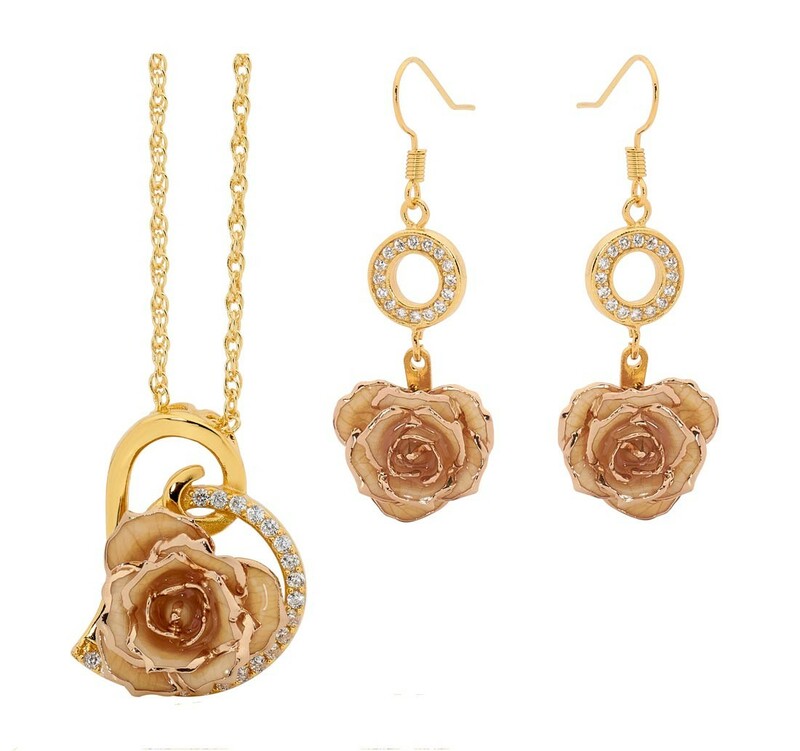 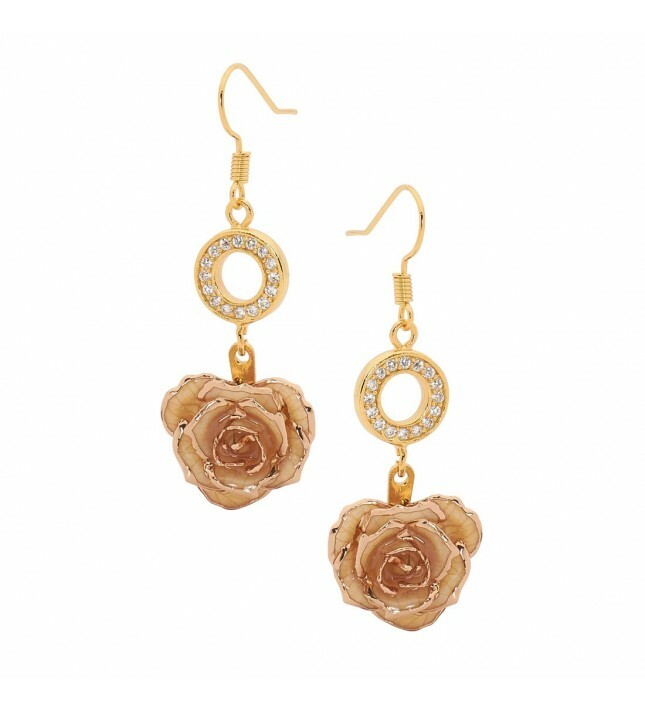 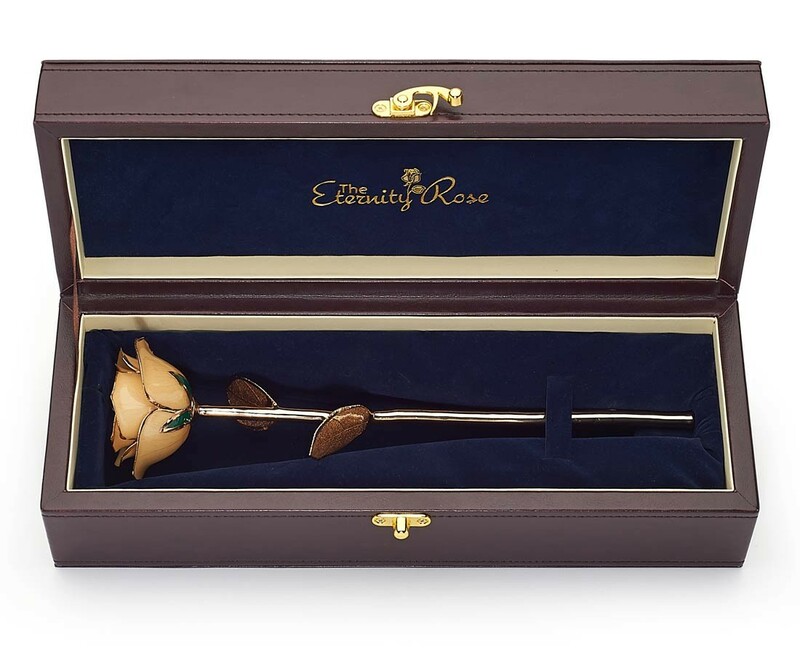 A WHITE NATURAL ROSE that is both trimmed in 24 karat gold and glazed. 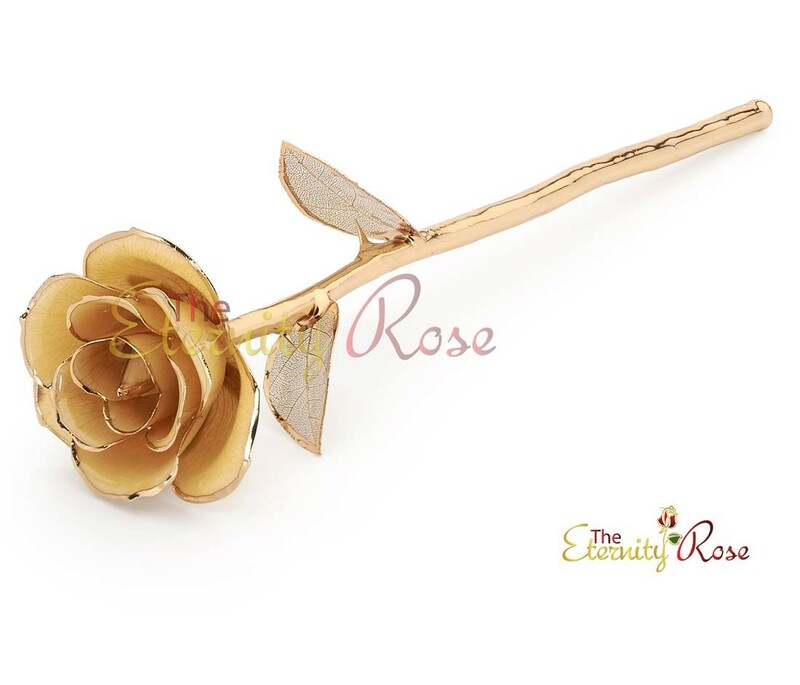 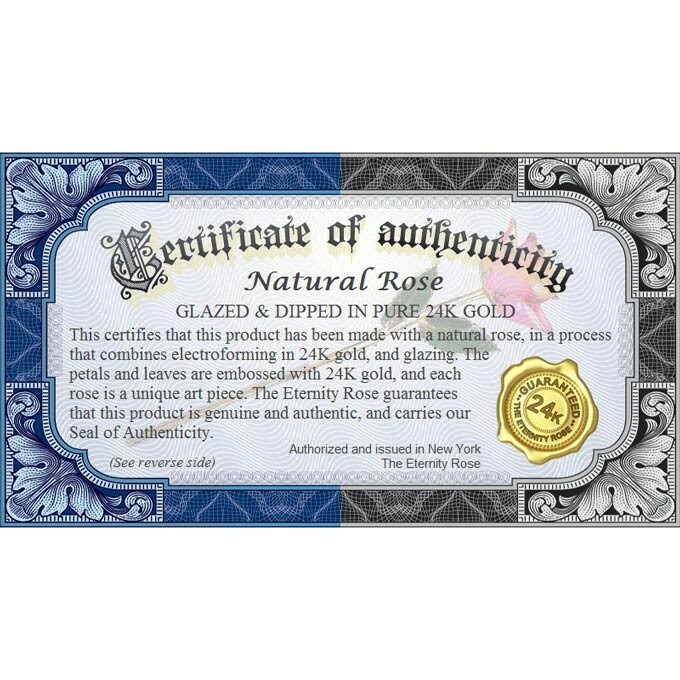 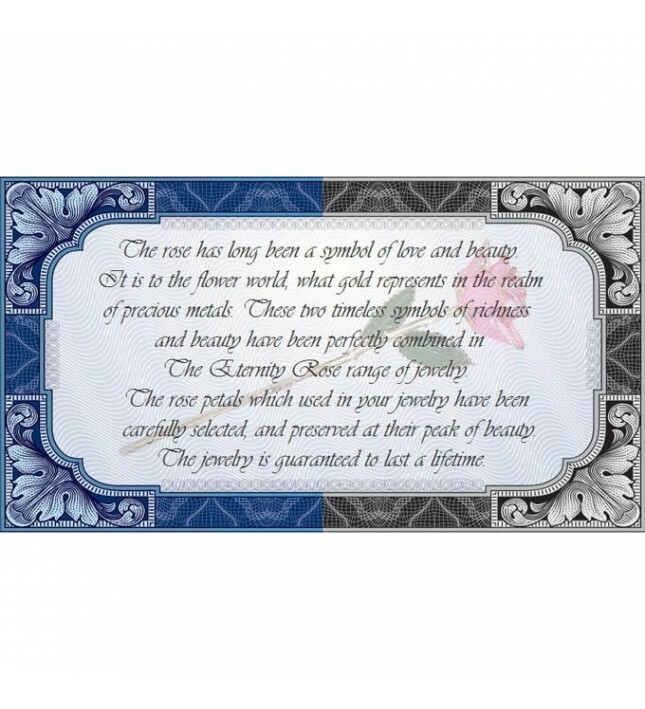 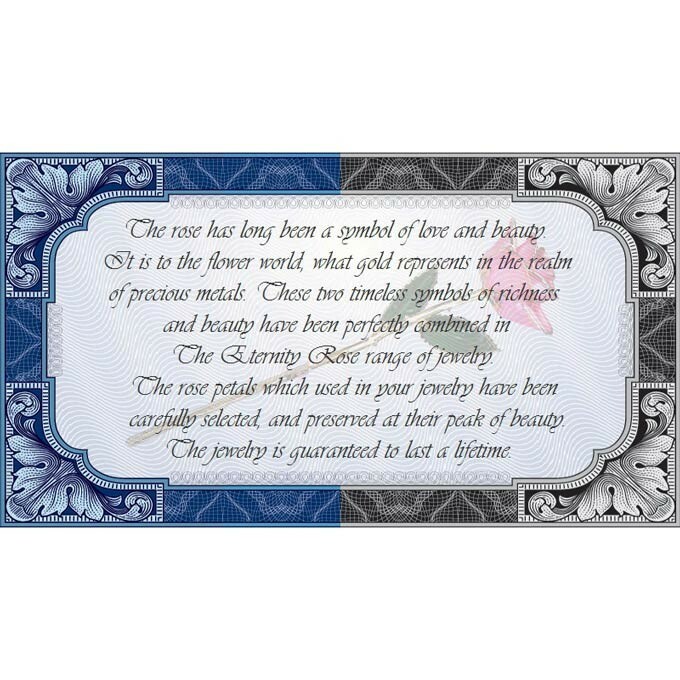 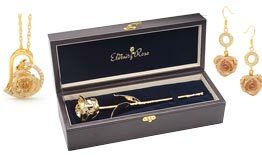 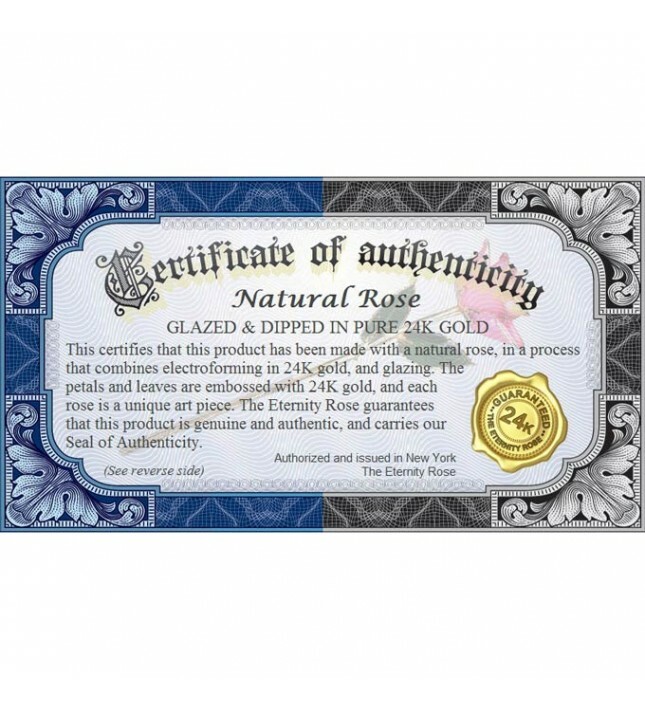 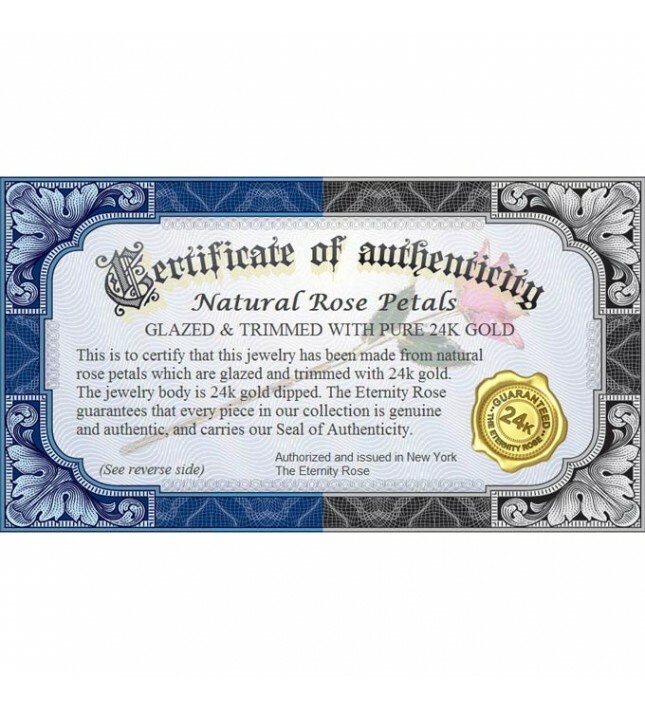 The rose is adorned with lattice leaves that are gold-dipped and then glazed. 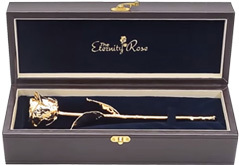 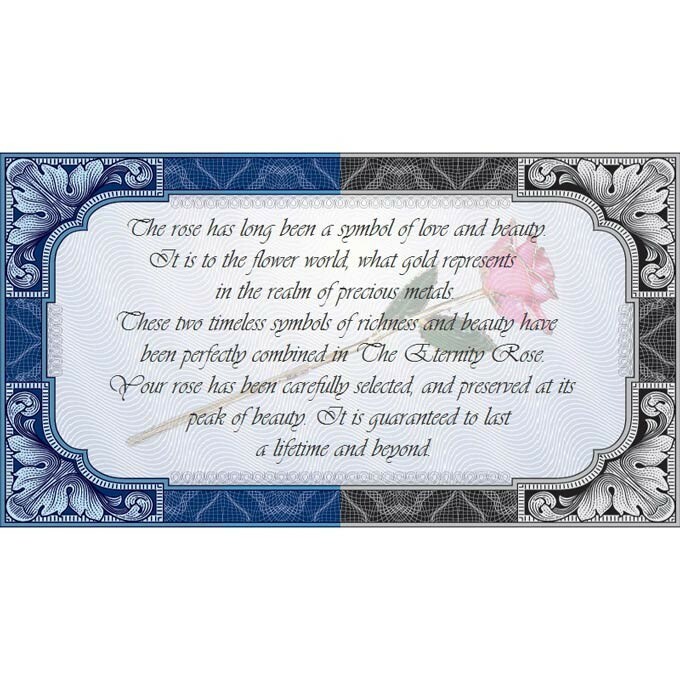 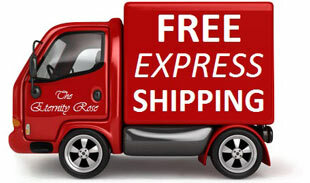 The rose length is approximately 12". 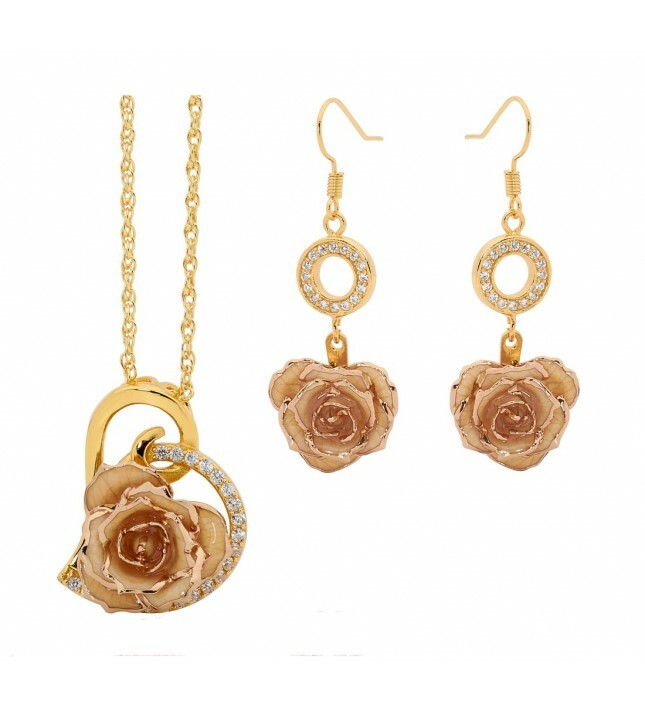 A PENDANT that is made with natural white miniature rose petals. 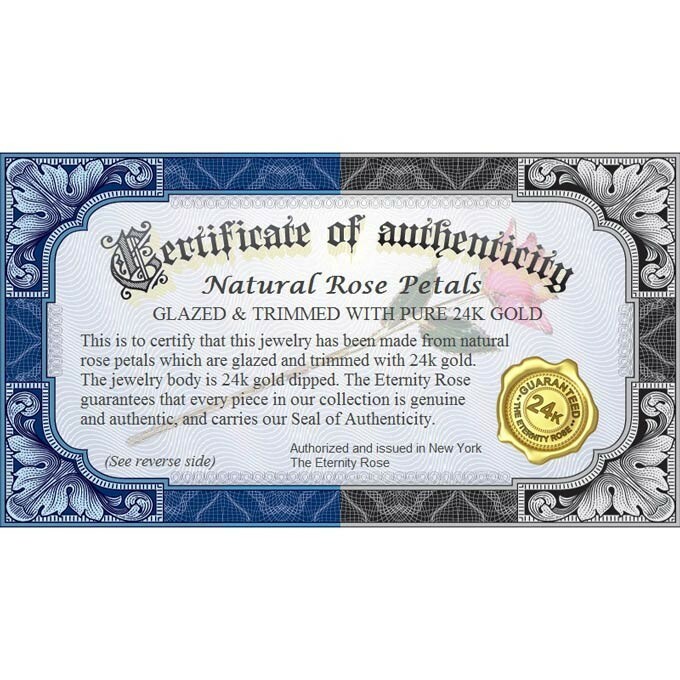 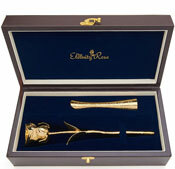 The petals are both glazed and trimmed in 24 karat gold. 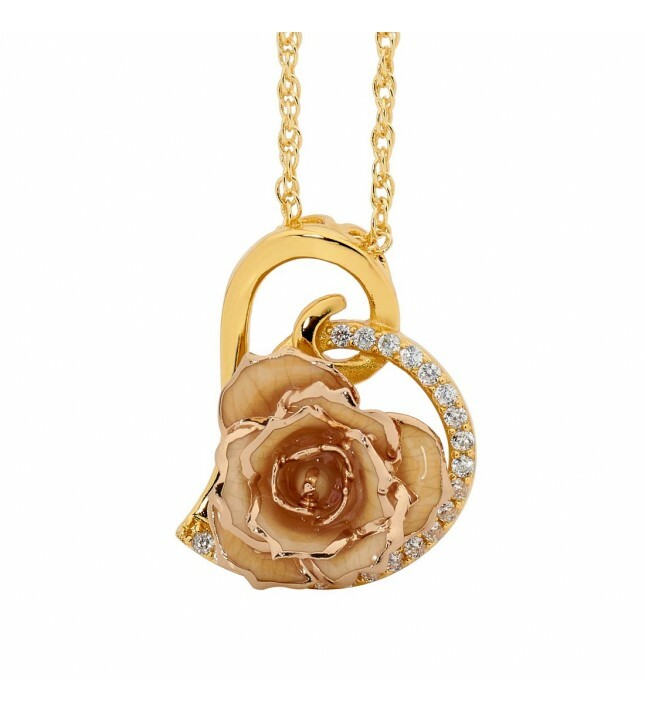 This beautiful pendant also includes an elegant multi-link gold chain that has been dipped in 24 karat gold. 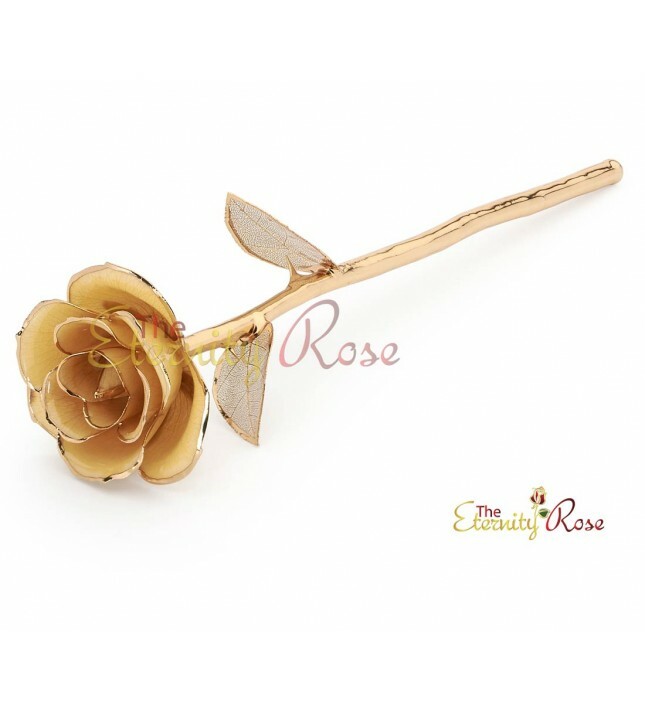 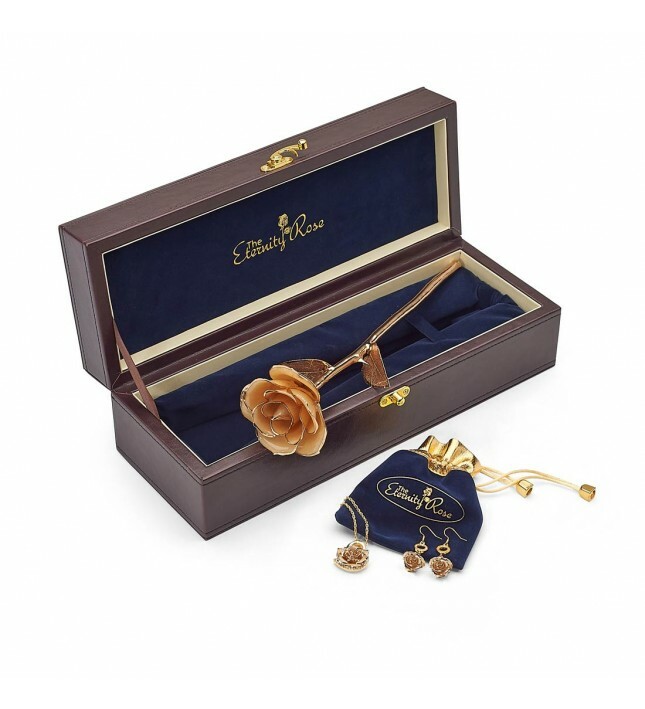 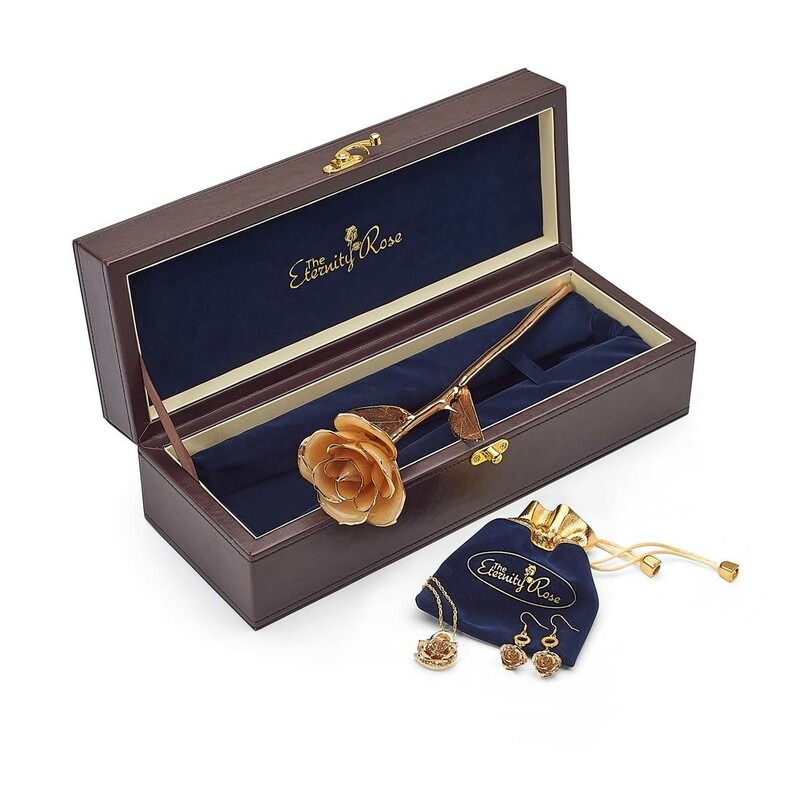 The pendant is also adorned with a miniature rose head, which measures approximately 3/4" in diameter. 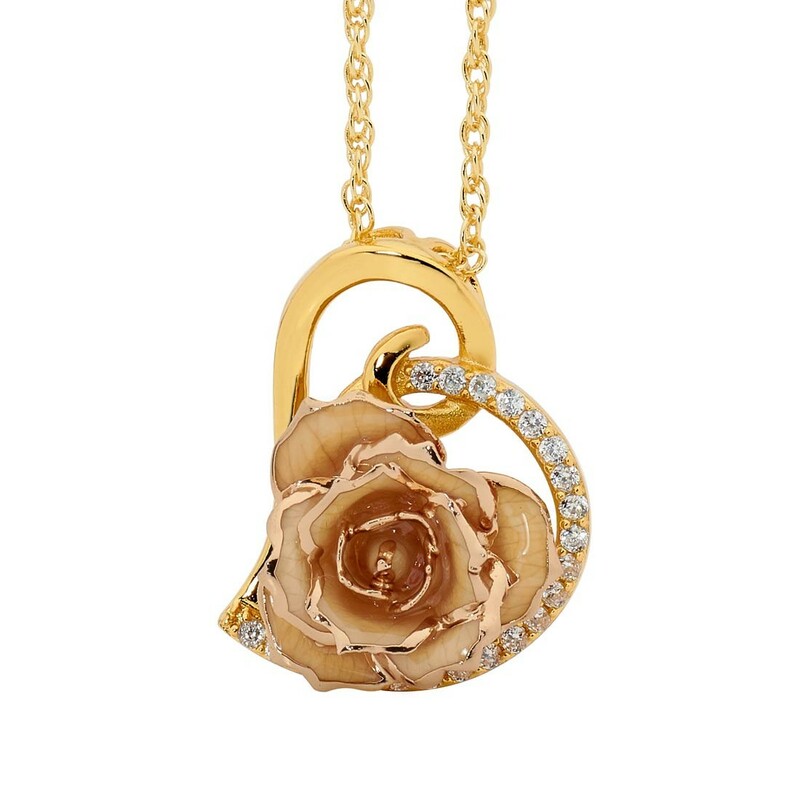 The pendant itself is designed in the shape of a heart and is also encrusted with 21 beautiful synthetic diamonds. 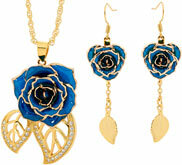 The pendant measures approximately 1.2 inches high by 0.9 inches wide.